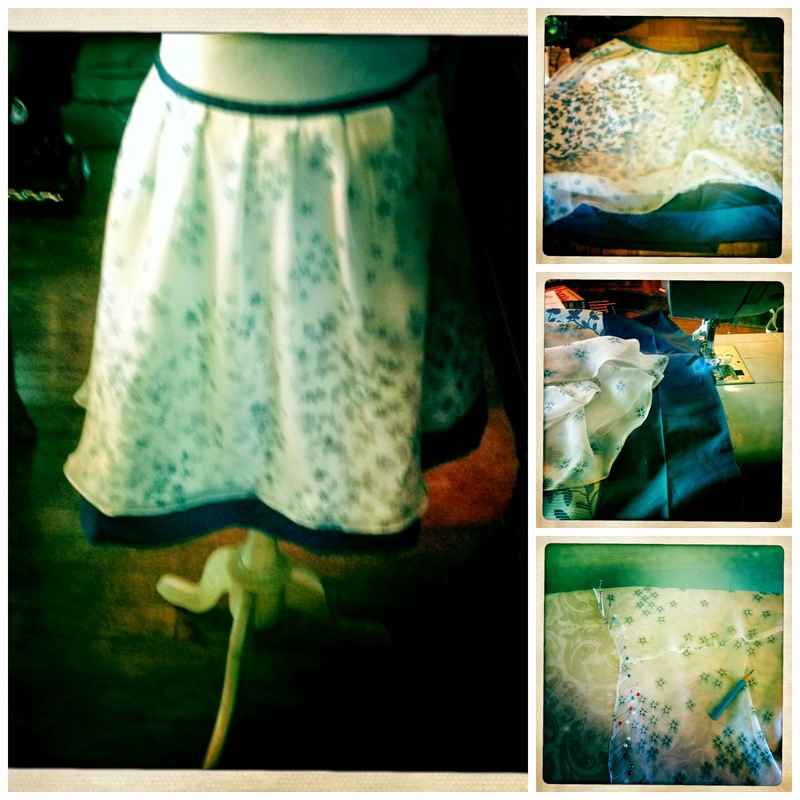 A few weeks ago I had a prolonged period of semi-successful sewing/altering. Since this mood produced a barely perceptible dent in my sewing/alterations mountains, I need to motivate myself into another one. 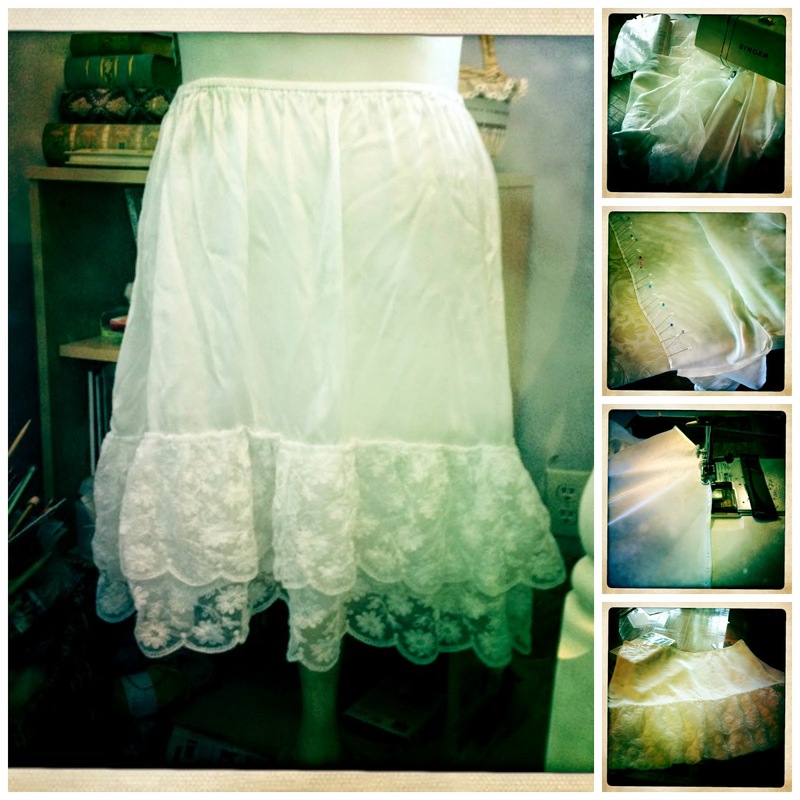 I bought this silk and cotton J. Jill skirt from Ashley at Bramblewood Fashion during one of her Shop My Closet sales. I decided to shorten it since it hit at an awkward length on me. I do not have a very good before photo. I probably should not have done a rolled hem because of the ruffly nature of the hem (and it was a new skill learned this sewing frenzy period). Oh, well. Maybe I will fix it somehow eventually. I ordered the materials to make a white and a cream extender slips quite a while ago. I put this white one under a full skirt, and my sister said I looked like a lacy cupcake. In addition to being too full, the skirt was also crooked. I learned from my mistakes and the cream one is much better (but still not the greatest), but most of my mistakes are usually out of thoughtlessness and impatience which means I have wasted a lot of time and material. These are not genuine mistakes, but laziness. 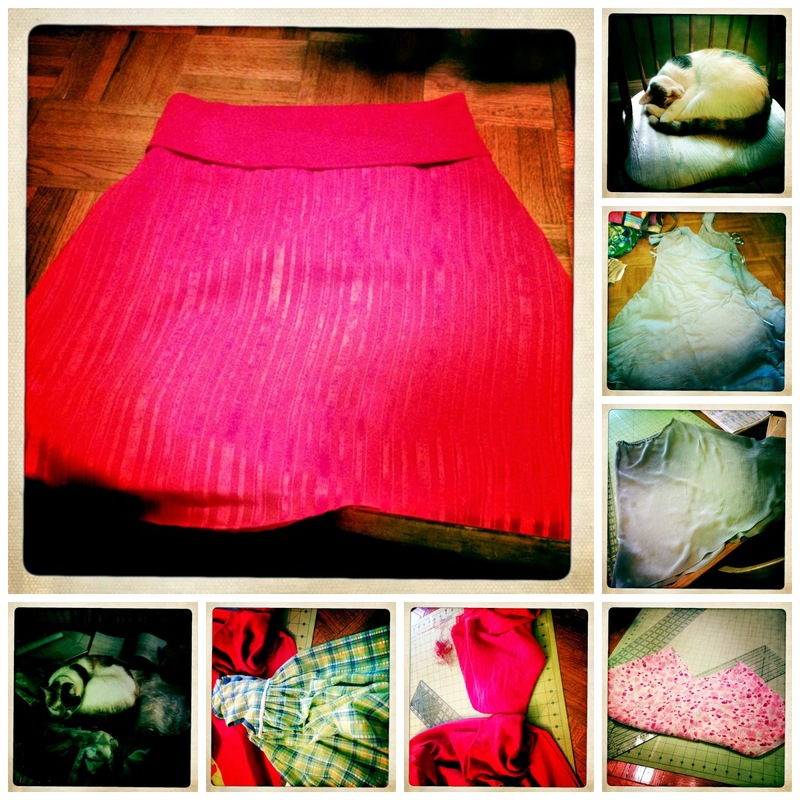 I made the red skirt for my little sister after tearing out the terrible work done by a much more hasty sister (yeah, runs in the family). Months ago I shortened a pink skirt I had handed down to another sister, and so this sewing period I made an infinity scarf out of the left-overs. I found a grey silk dress at Goodwill and turned it into a slip for which I need to find grey lace to make into another extender slip. I finished a partially made baby dress someone gave us. Sugarplum, our older cat, likes to climb on our table and sit on the fabric. When she is hiding from Mumford (our spoiled little kitty princeling), she sits in the chairs. 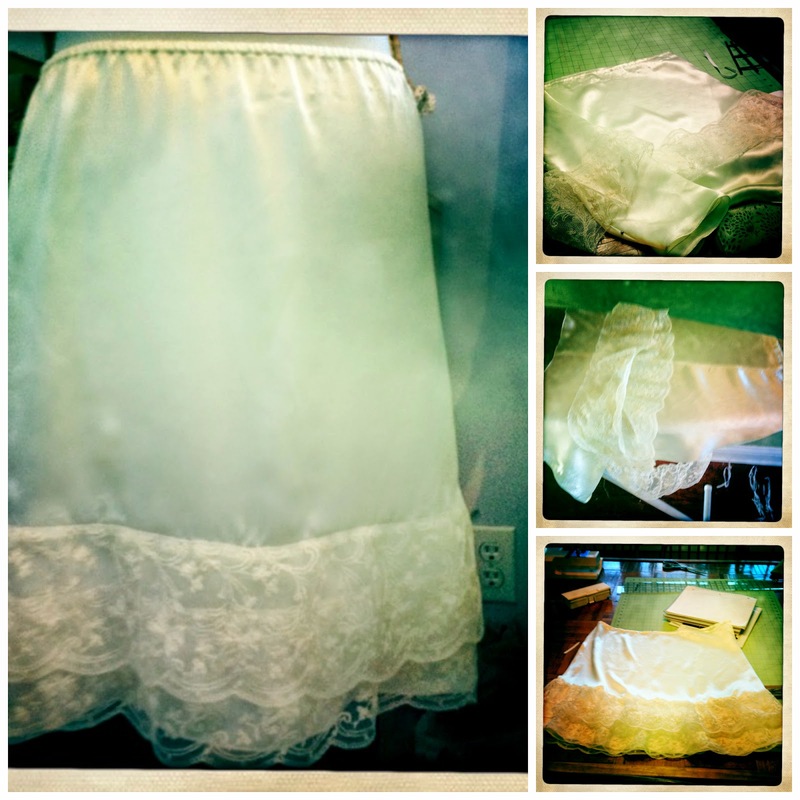 I am thankful for what I did get done, and I learned and practiced two new skills: French seams and rolled hems.